JCJ has been actively involved in some great projects in Sri Lanka. 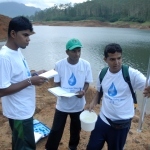 Our partner is Eco-friendly Volunteers of Sri Lanka (ECO-V). Together, we have developed a great model for empowering youth and training leaders around issues of climate, peace and justice. 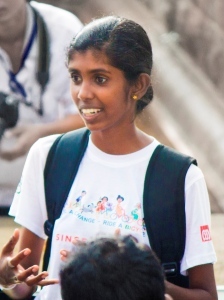 Since 2011, young people from Sri Lanka have taken part in journeys in different parts of the country. Each has involved team workshops, nature walks, street drama, reflective writing, and meetings with local officials and religious leaders. During the journey, the aim is to reach out to local communities as well as the whole country through national media. 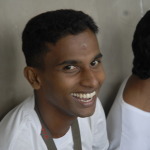 The most recent Journey was Vanni Yathra. Over 10 days, 30 participants from different regions and ethnic backgrounds rode bikes donated by Journeys for Climate Justice. It took place in the north of the country, and was led by a Tamil who had been a combatant in the civil war. Vanni Yathra was a great journey of reconciliation. Read below about the first two Journeys, and then about the youth who took part. Finally, climate change in Sri Lanka is explained briefly. A bike journey for climate action! JCJ raised much needed funds to make it happen. Paapedi built on the successes of the Kelani River Journey, the first major project that JCJ supported in Sri Lanka in 2011. This time the team of Sri Lankan youth travelled on bikes, from the ancient holy city of Anuradhapura to the capital of Colombo. 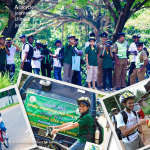 The Journey sought to train the youth as leaders capable of running their own environmental initiatives, raise national awareness about climate change, and to support a culture of bike riding in Sri Lanka. It ran from 13th to 23rd March, and was led by Kanchana Weerakoon of ECO-V, a local volunteer-based environmental organisation. You can watch a 10 minute video showing highlights of the Journey. An earlier video made to support our crowd-funding campaign is also worth watching; note the many messages from our supporters, and the rewards they took home from their fantastic contributions! 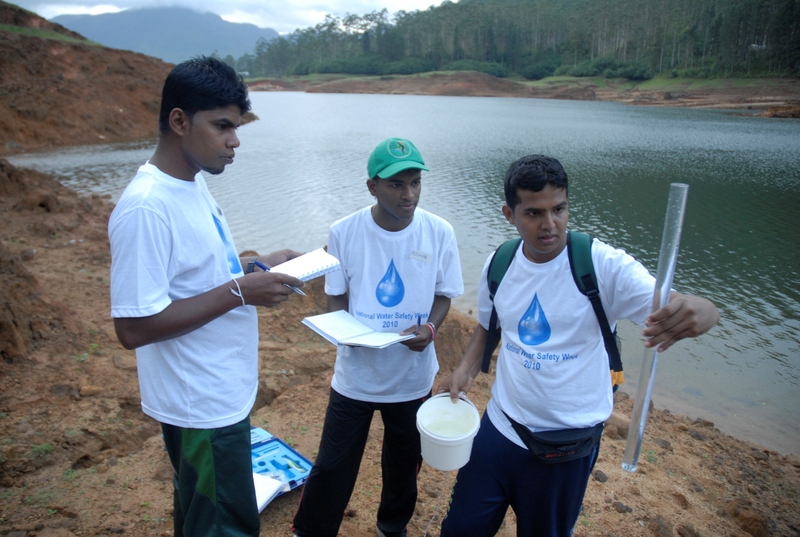 In August 2011, 20 Sri Lankan youth undertook a 12-day educational adventure along the Kelani River led by ECO-V. 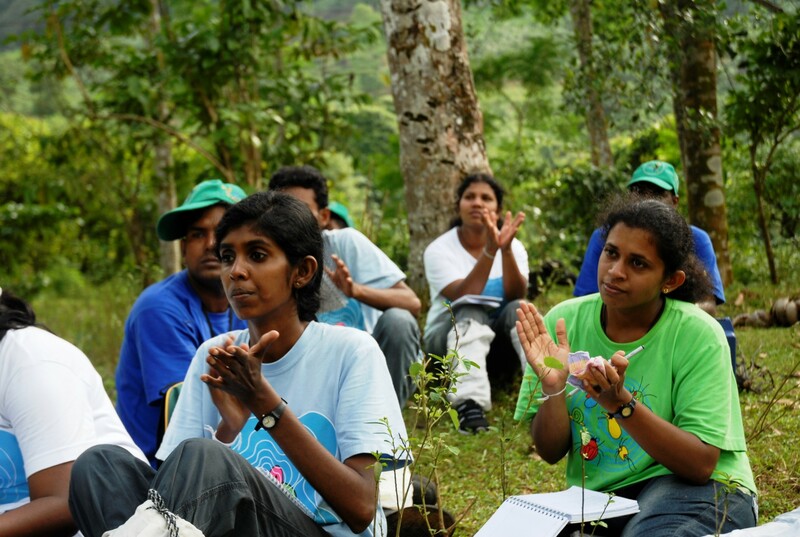 The youth were trained to be the future green leaders of Sri Lanka. Along the way the green leaders engaged with local village communities, governments and influential individuals to raise awareness of climate change and promote sustainable lifestyles. They also studied the water quality of the Kelani River, and stopped at many sights to plant trees and appreciate the beauty of their idyllic surroundings. The youth initiated their own conservation projects, after returning to their local communities, with the ongoing support of ECO-V and JCJ. The Journey generated massive media attention and influenced national political leaders. Overall, the Kelani River Journey created national momentum for action that will help Sri Lanka to adapt to the adverse impacts of Climate Change, and reduce their greenhouse emissions through sustainable development. The Journey created the impetus for the transition to a more eco-friendly and sustainable mentality. Watch a 14 minute video about the Kelani River Journey. 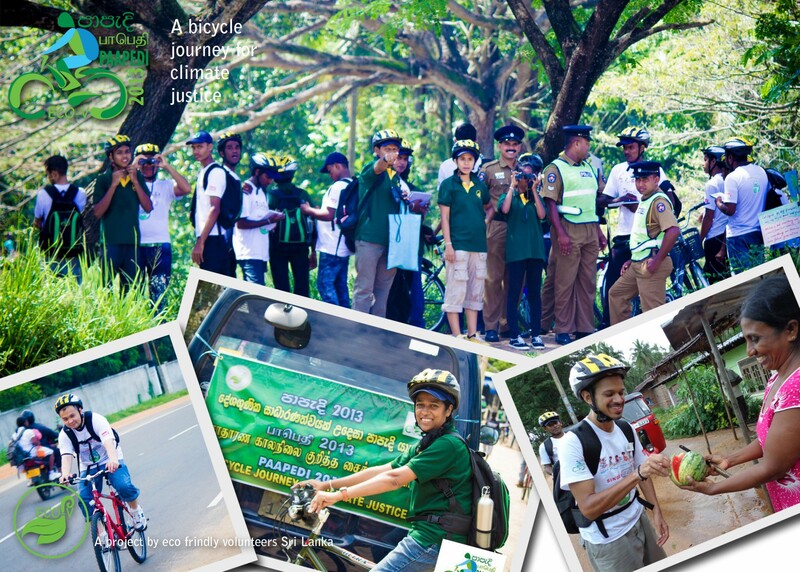 The two Journeys inspired and trained groups of Sri Lankan Youth as environmental ambassadors. The youth undertook to protect and care for Mother Nature. They made this pledge in a ceremony at the end of each Journey. They returned to their local communities to drive their own conservation initiatives. For this, they have new-found skills as eco-leaders, and new knowledge about climate change, sustainability and green-living. JCJ is providing ongoing financial and logistical support to the youth-led initiatives. We do this via ECO-V, our partner in Sri Lanka. ECO-V periodically runs environmental training programs that bring these youth back together. 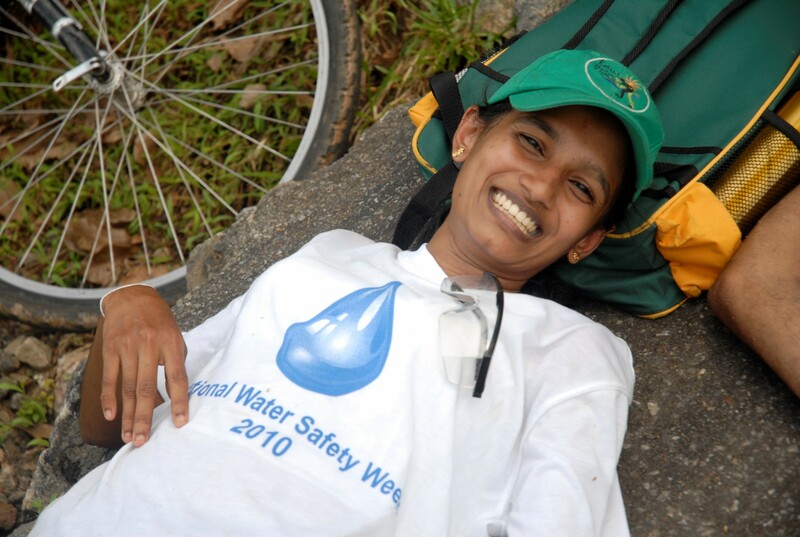 Over 2011 and 2012, youth from the 2011 Kelani River Journey took part in a climate change camp, nature photography camp, and a biodiversity conservation program in the wondrous Sinharaja National Park. In 2013, several of them joined the Paapedi bike ride as leaders. The youth are came together again for a workshop in late 2014. 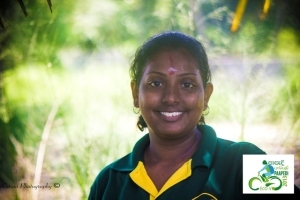 If you ‘offset’ your carbon emissions with JCJ or donate, you will help to empower these Sri Lankan eco-leaders on their mission to assist communities vulnerable to the adverse impacts of climate change. 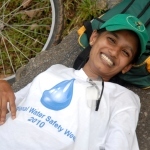 Gayani (Kelani River) has initiated environmental workshops at an orphanage and a school in her home-town of Panadura. For the last three years, she has been regularly participating in ECO-V’s activities, and was a leader for the Papeedi bike journey. Since July 2012, she has worked as an archaeologist, and is developing archaeological tourism using all her experience on the two journeys. She is frequently conducting environmental activities with work colleagues – tree planting, establishing a plant nursery, reducing garbage, and stopping burning of plastics. These are not part of her job. 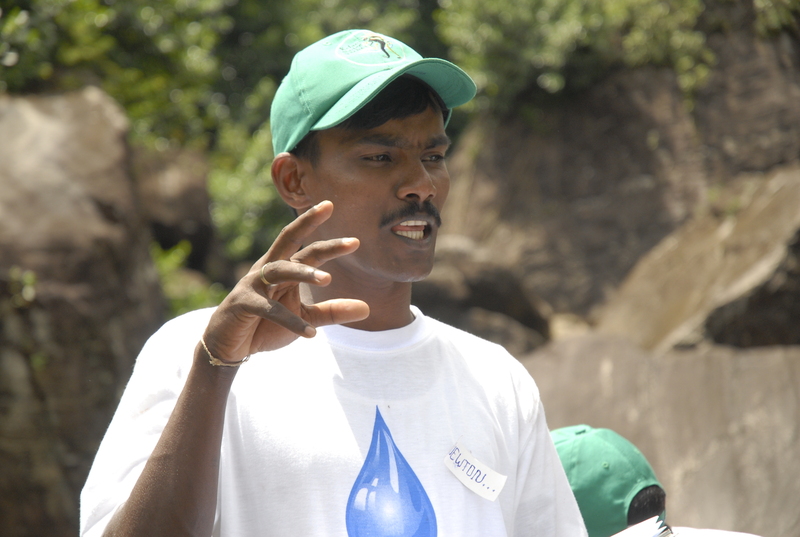 Dhanushka (Kelani River) is now an environmental leader in the dry-zone of Uda Walewa. He now runs permaculture-training on a local block of land owned by his grandfather, where he brings together local disadvantaged youth, and inspires them through hands-on environmental conservation work and organic farming. Dhanushka also runs regular environmental education programs for local schools, and supports the ongoing work of ECO-V in wetland habitat conservation in the area. Imala (Kelani River) organised a massive 3-day exhibition in his University to raise awareness for climate change and other environmental issues, and build momentum for action. He implemented a number of tree planting projects and workshops in a local school. Tharindu (Kelani River) ran a series of campaigns to educate people about climate change and polythene pollution. He has enlisted the help of a local temple and youth group for added support. He also lobbied a politician to protect a stunning local forest from pollution and vandalism. Newton (Kelani River) is a ex-military cadre who fought for the Tamil Tigers (LTTE). He now works on his family farm and is also a dancer in a professional troupe. Before his release, he ran an environmental awareness program in his rehabilitation camp. Newton became a leader on the Papeedi bike journey, encouraging and supporting the participants and offering help to Kanchana. He is very enthusiastic about being involved with ECO-V’s ongoing activities, and keeps in touch every few weeks. 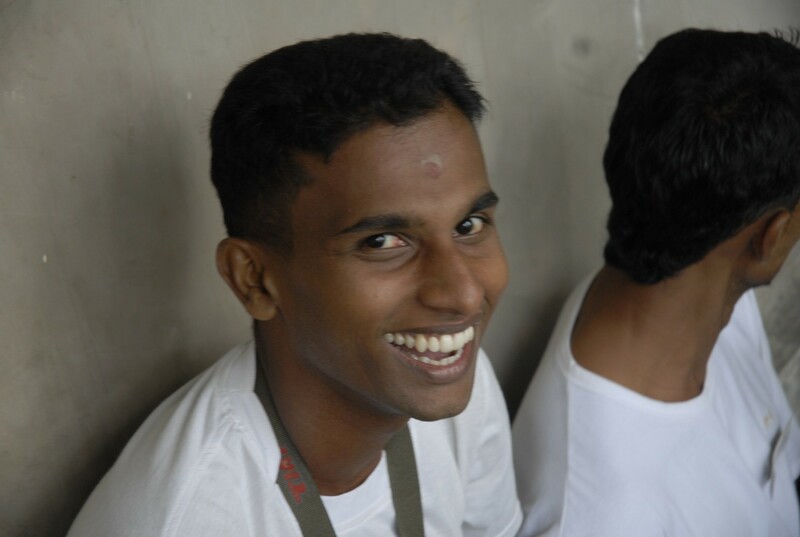 Gayan(Papeedi) has run many awareness campaigns in the community around his field station working for a private company. These included environmental conservation and climate change. Gayan went to Malaysia for training in consumer issues, and he is now a leading member of Consumer Voice of Sri Lanka, which takes a strong position on national environmental issues. As an ECO-V volunteer, he’s ready to help out when asked. Prabha (Papeedi) has run environmental and climate change programs : for youth in her village and at her temple. She says Paapedi has given her the opportunity to think out of the box as a green leader. Prabha is working for Radio Ceylon, where she is applying what she learnt. She also went to Malaysia for consumer training, and is active in Consumer Voice of Sri Lanka. Prabha is an artist too. Her recent children’s play is nominated for a national award. It is a story of Nature conservation. She made sure that all the stage decorations are environmentally friendly. Climate change in Sri Lanka – how does it impact the country? 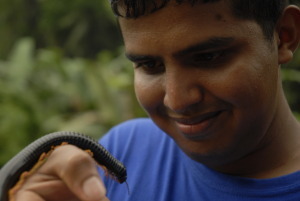 Sri Lanka is one of the biodiversity hot spots of the world. Climate change is already affecting the natural environment and people. Heavier than usual rains caused severe flooding in January 2011, causing more than a million people to become homeless, destroying essential crops and livestock. The Intergovernmental Panel on Climate Change has predicted that more alarming changes will take place in Sri Lanka. Climate change is affecting the monsoon rain pattern giving rise to flash floods, landslides, river bank erosion and ultimately, leading to destruction of earlier river landscapes and ecosystems. Expected changes include reduced food security with paddy farming output falling by 20-30 percent in the next 20 to 30 years leading to malnutrition. Land mass will be lost as coastal areas are submerged. Mosquito borne diseases and problems with other invasive species are expected to increase. Radical action is urgently needed to combat the effects of climate change. 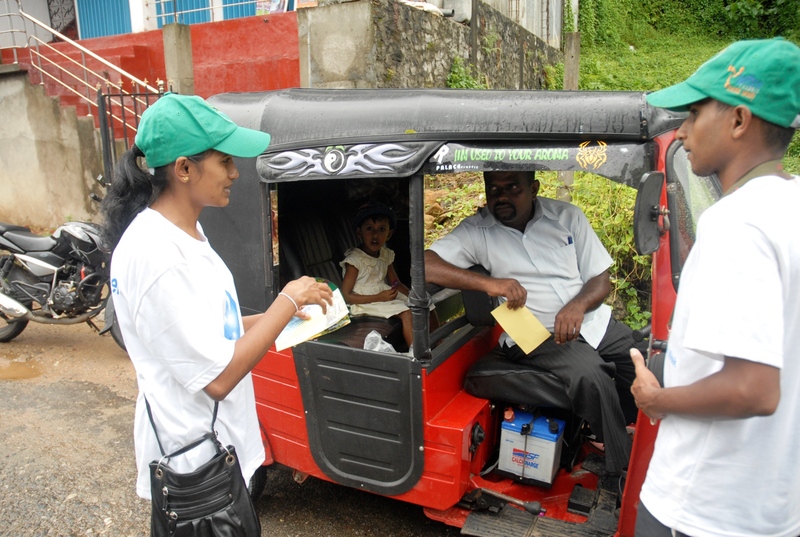 Awareness about climate change is growing in Sri Lanka, thanks in part to the Journeys led by ECO-V and supported by JCJ. ECO-V is often asked for advice. The youth are influential in their workplaces and communities. The Kelani River is now the focus of a government program to increase protection of the river and its catchment – in large part due to the attention it attracted in 2011 during the Journey and the protection plan drafted with JCJ support at the time. Kanchana Weerakoon sits on a stake holder group for the project. Much more needs to be done. There are strong pressures for development in Sri Lanka. At the same time, grassroots support for the environment is growing. The Journeys carried a great environmental message, which was heard across the island. It needs to be repeated again and again. Find out more about the two Journeys through the blog that recorded events at the time.